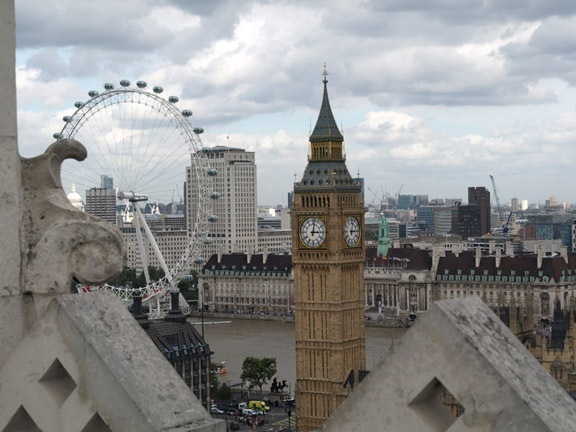 A real-time sculptural audio map of the sound of Big Ben. A network of microphones starting from the bell tower itself and spreading out to surrounding rooftops and terraces, around Parliament Square and beyond, will simultaneously trace the contours of the temporal deformation of the bells. The speed of sound is 1116.4 feet per second. 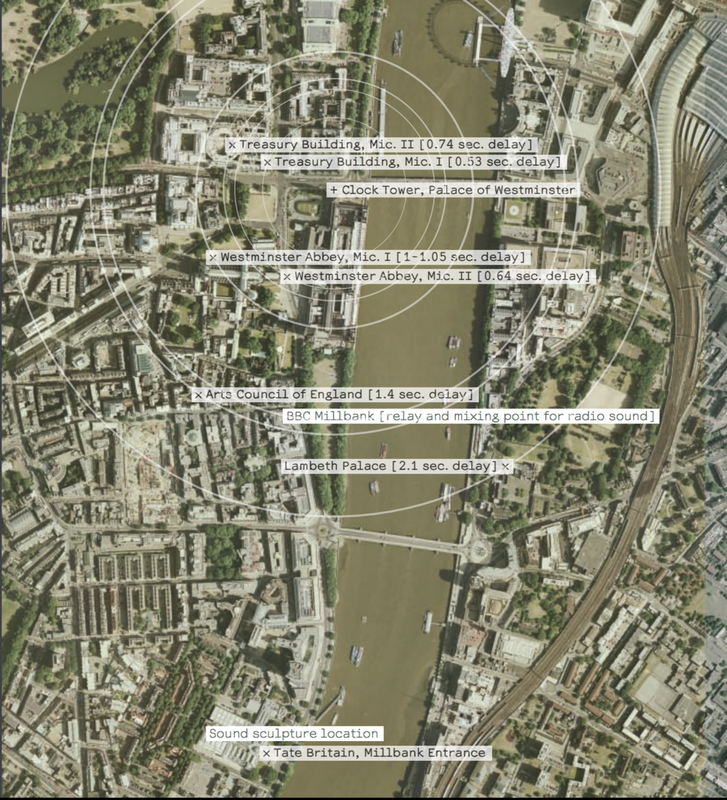 When you take into consideration the distances of all the microphone locations and divide those distances by the speed of sound the result is a sequence of natural acoustic delays creating a multi-dimensional sound image of Big Ben that is actually a live sound map of this part of London. This new version of Speeds of Time is developed from an earlier version that was originally commissioned by the Works of Art Committee of the House of Commons in 2004, and had focused on the Great Clock.